Have you heard of Vista Del Mar in Myrtle Beach? Of course not, Vista Del Mar is an exclusive condo community located in the Grande Dunes section of Myrtle Beach. 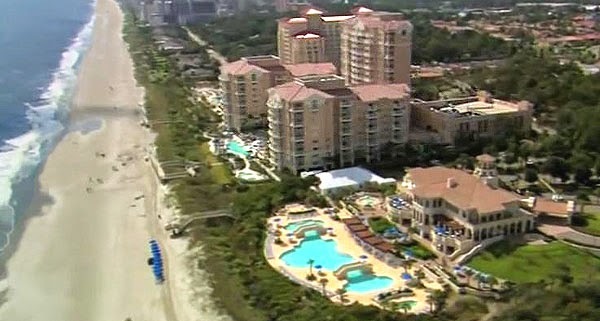 These condos are considered the most luxurious condos along the Grand Strand. Vista Del Mar is hidden behind a gated entrance near the popular Dunes Club community and golf course. The Mediterranean style buildings offer unmatched amenities as well as the high quality interior touches that are expected when only the best will do. There are many different floor plans to choose from offering the opportunity to make this your primary residence or a second home that you will want to visit often. The condos are very spacious and offer the best ocean front views you can find along the Myrtle Beach area. When you become an owner at Vista Del Mar, you also receive a membership to all the amenities at the Ocean Club Grande Dunes. There are plenty of condos you can choose along the Grand Strand yet none of them will compare to Vista Del Mar. If you would like to schedule a private viewing of the units available, please contact one of the Century 21 The Harrelson Group agents. We will be glad to take you a tour of the property as well as look at the various floor plans that are currently offered.